Positive Thoughts: Why should we reminisce? Reminiscence is a free-flowing process of thinking or talking about our experiences in order to reflect on and recapture significant events in our lifetime. Each one of us is part of a rich history that needs to be shared and preserved. The stories we tell about our lives are also important sources of self-identity and enable us to explore and relate our past to the present. 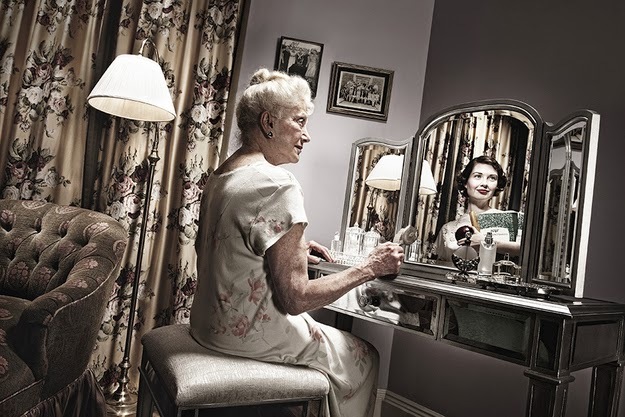 Research has also shown that older people with symptoms of depresion who participate in reminiscence report better self-esteem and are more positive about their social relations. They also tend to have a more favorable view of the past and are more optimistic about the future. Reminiscence can also help us to establish realistic goals and come to terms with life's disappointments and limits, while taking pleasure and pride in recalling our accomplishments. Through remembering the past can we can bring a new awareness to the present. Memories can be explored in many creative ways that place value on a person’s unique life experience. Triggers are often used to evoke a memory and the best triggers are those that stimulate our five senses: taste (grandmother’s recipes), smell (aroma of fresh baked bread), touch (textures), sound (music) and sight (photographs). Reminiscence themes and activities can provide opportunities for social interaction around shared experiences. Examples of themes may include: the childhood home and family, school days, games/activities, courtship and marriage, jobs, war years, holiday celebrations and festivals. All of these creations can generate conversations, valuable recollections and outcomes for the family and the generations that follow. As you can see there are many benefits to reminiscence and this why it is an integral part of the Treasured Memories Project to create a social group for isolated older residents in Barking and Dagenham to come together, socialise, share life experiences and learn new skills. The focus of the project will be around each attendee creating their own American style scrapbook about their life which they will contribute to each week through six themed workshops alongside life skills to help increase their confidence. Through the themes of each workshop we hope to provoke memories from the past as a discussion point to build rapport within the group and identify shared values and interests and to create a self-sustaining social group to continue to meet and grow with the help of volunteers.